of 3/8-inch steel on the outside of this pipe. We were thrilled when using HJ3’s materials." 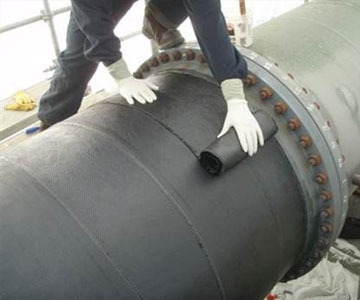 The CarbonSeal Steel Pipe Repair System meets the tough demands of your pipe applications. and damaged pipe, our systems save you significant money over traditional repairs or replacement. 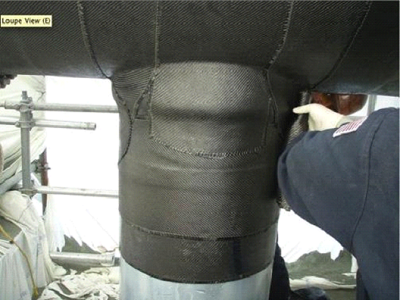 The CarbonSeal carbon fiber is lightweight, flexible and conforms to the pipe for easy installation. elbows, straight runs, 90’s, and blind flanges. and created massive flooding and dangerous terrain for plan operations. 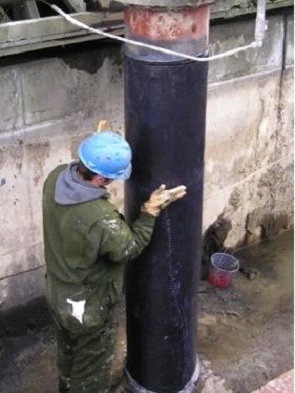 The steel riser pipes were excavated to a depth of 10 feet and the steel was abrasive blasted and cleaned to white metal. saving the client considerable down time costs. Total projects savings were 92% of replacement. 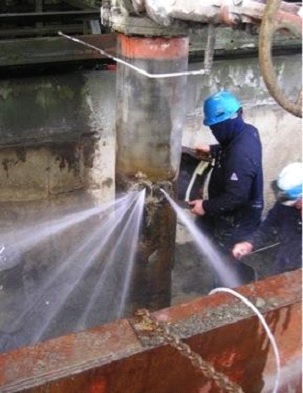 Additional concrete repair application images here See more steel and concrete pipe repair case studies here. 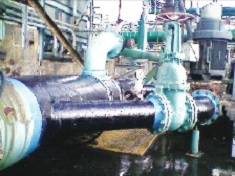 If you have a specific pipe application you would like reviewed, please contact an HJ3 Project Manager to schedule an on-site survey. in a matter of days. Contact HJ3 at 877-303-0453 or fill out the form.